Pamper yourself with a high end vacation in Tampa this winter and enjoy the warm sea breeze for a few days in the middle of the winter. 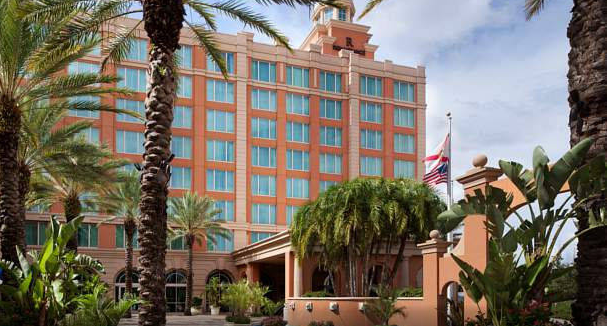 Book the Renaissance Tampa International Plaza Hotel for $299 per night and save more than 30% off regular prices. 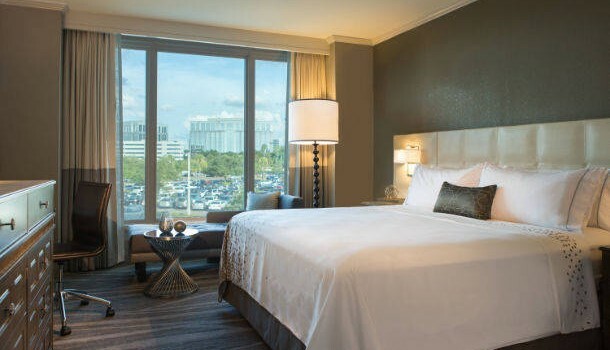 You can find the Renaissance Tampa International Plaza Hotel by Marriott on Jim Walter Boulevard, only 4 miles south east of Tampa International Airport (TPA). Only minutes away from the hotel you can find great shopping at Bay Street and International Plaza, while Tampa Bay Buccaneers and Tampa’s Steinbrenner Field are also close. 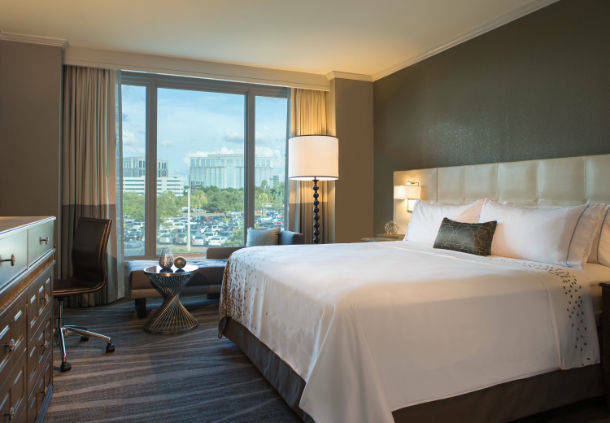 There are several room and suite types at this 4 star Tampa hotel, they are comfortable and locally inspired decor. All the accommodations are smoke free, they have one king or two queen beds with plush comforters, high speed Internet access, spacious work desk, air conditioning, phone, 42 inch LCD TV, mini fridge, coffee maker, alarm clock, safe and marble bathroom with hair dryer and a shower plus tub combination. If you choose to stay in a club level room, you will also get free breakfast, access to the club lounge and appetizers. 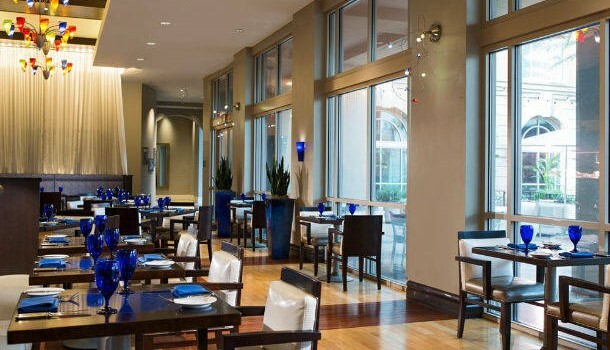 There is also a great restaurant at Renaissance Tampa International Plaza Hotel. 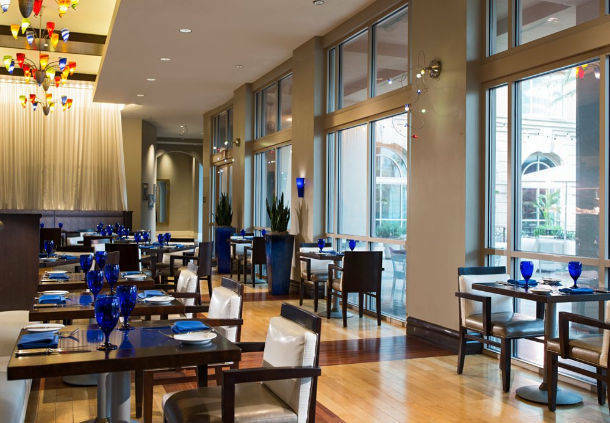 The Pelagia Trattoria awaits with quality steaks, house made pasta, seafood and the best Italian flavors. Gabriella’s is the on site bar right in the lobby that serves cocktails made on the spot, light fare and coffee specialties. You will find an outdoor swimming pool and a whirlpool where you can hang out after a long day, but you may also choose to work out with the weights, cardio equipment, treadmills of the fitness center at Renaissance Tampa International. There is also over 12,000 square feet of meeting space here with a total of 15 event rooms, the largest for up to 830 people, plus all the technical equipment and organization services you may need. You can choose from many other travel deals in Tampa or other cities in Florida. Choose the merchants you trust and select the travel dates that are best for you, than compare prices and find the perfect resort for your stay. This entry was posted on Sunday, December 13th, 2015 at 3:36 am and is filed under Hotel Deals. You can follow any responses to this entry through the RSS 2.0 feed. You can leave a response, or trackback from your own site.